This Stellar 3-arm Eastlake Gas Chandelier, circa 1885 , has an open work body. 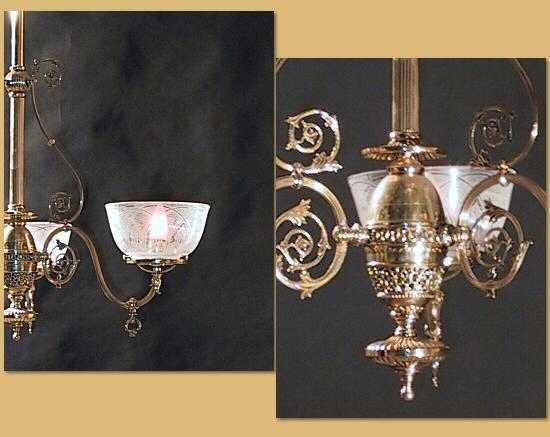 casted arm backs throughout with Art Nouveau influences and fluted tubing. Super transfer Gas shades. Measuring 22" diameter and 43" long. Lives in a dining room in Lexington, MA.